Big Sleep Out 2017 - The Northampton Hope Centre, Homeless Charity. 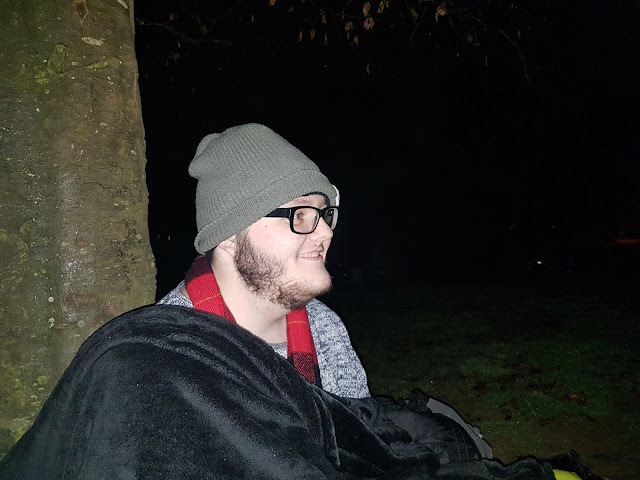 On the 27th of January it was my 22nd Birthday, but more importantly, it was the Big Sleepout - an organised charity event for the Northampton Hope Centre, a fantastic homeless charity in my hometown. 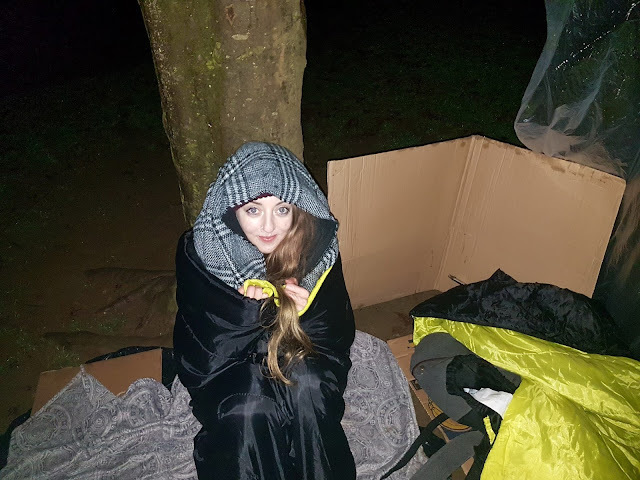 Over 170 people took part in this event alongside my boyfriend, Karl, and I, all sleeping rough in Abington Park armed with sleeping bags, cardboard boxes and plastic sheets, which for us lot was roughing it, but is a sad reality for many, with these items that we would call rubbish, classed as a luxury for the real homeless people living on the streets every single night. Participating in this event has made me realise just how lucky I am. I'm sitting here typing on my MacBook Pro, drinking a hot cup of tea my mother has just made me, cosied up in the corner of my bedroom wrapped in a fluffy blanket surrounded by expensive technology, soft furnishings because I like the aesthetic, a clothes rail full of clothes I won't wear ever again after that one party, and my lovely family downstairs, and so forth. The thing is, nobody chooses to be homeless. No one willingly gives these things up. Lives essentials are just ripped away from people, with no fault on their part at all. I think a lot of people fail to realise this and think that all homeless people have that lifestyle because they chose it, but that's not the case. They may have drug and alcohol addictions, and this is perhaps why people look at them like monsters and not human beings. But, there will be a reason for these addictions. Mental health problems that could have stemmed from a childhood of abuse, even being made redundant and not being able to keep up with bills with no family there for backup, and many more reasons. I always feel for them when I'm making my way through town on the way home from my full-time job. I'll be feeling sorry for myself, tired and cold, though this is nothing compared to their daily struggle. I slept for just one night in the cold and wet park, and I genuinely though my toes may fall off due to frostbite! I exclaimed to my partner "How do homeless people still have their toes, how?!" 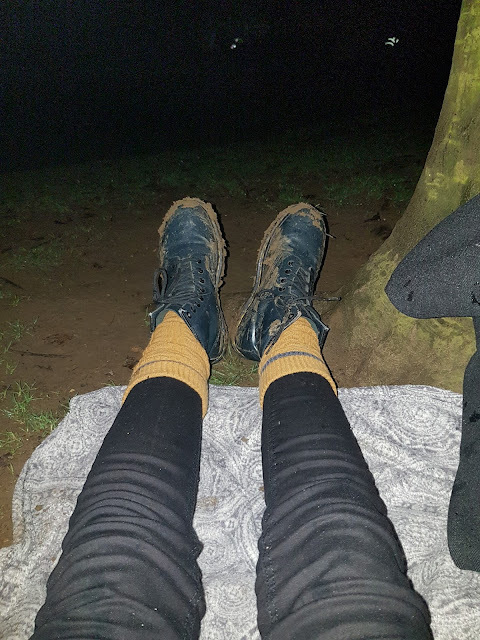 I had three pairs of socks, tights, and a blanket wrapped around my feet in a sleeping bag and I was still numb in my feet. It was a massively humbling experience, and it felt so good to raise well-needed money for a cause and charity that deserves it so much. Or perhaps find a local homeless shelter/centre to you and donate money, clothing, food, blankets, or even give up your time and volunteer! Anything you can do or give is appreciated so much, believe me. Here are some more links to The Northampton Hope Centre, and other homeless charities to support. My beautiful boyfriend Karl, wearing two hats here! "Look I'm a dragon!" haha. Definitely a cold one. 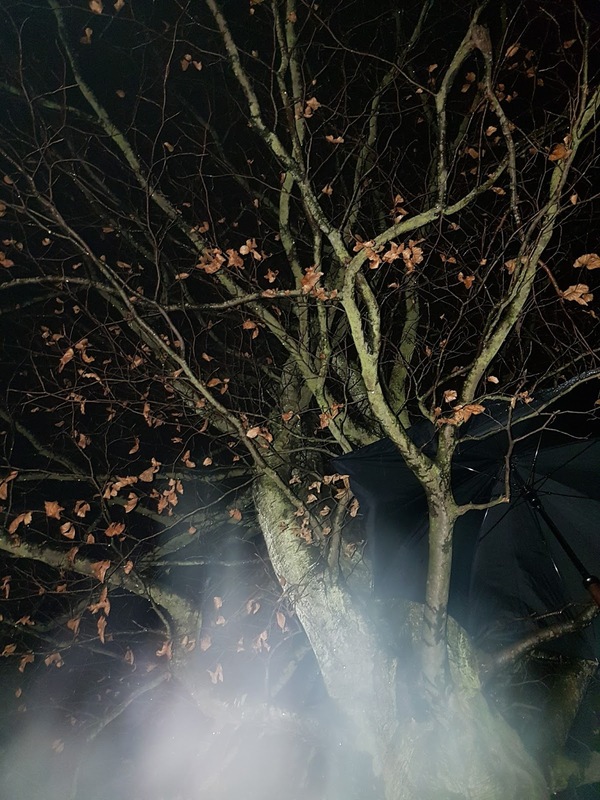 Spot our umbrella in the tree? Creative, right? Thanks so much for reading! Have you ever done somthing like this, or would like to? Let me know, I'd love to hear your stories!